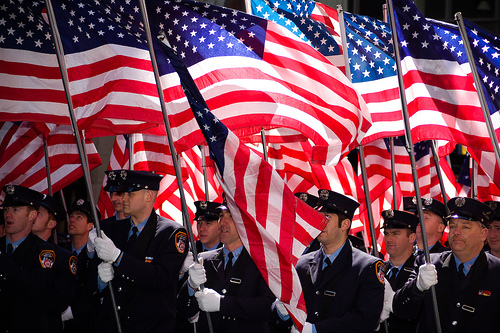 Numerous cities hold ceremonies, memorials, special events and more. There are several Memorials in the Minnesota State Capitol grounds in downtown St. Paul, including the Minnesota Vietnam Veterans Memorial, the Minnesota Korean Veterans Memorial, the Peace Officers Memorial, and the World War Two Memorial. Looking for some entertainment? Click this link for some great ideas this Memorial Day weekend. Concerts, festivals, restaurants, nightlife and more information can be found by clicking this link! A little way out of town: A two-hour drive north to Onamia, MN, will take you to the annual Mille Lacs Indian Museum and Trading Post Memorial Day Pow-Wow, hosted by AMVets Post 53. The Pow-Wow is a gathering of Native American dance, music, food, crafts and games to to honor past and present veterans on Monday 27 May.The event is free and open to all. Noon – 5 p.m.
A long weekend beckons – barbecuing, gardening, baseball, classic cars, free music and the opportunity to get outside and enjoy yourself. Need ideas for things to do on Memorial Day weekend in Minneapolis and St. Paul? Here’s what’s happening in Minneapolis and St. Paul over Memorial Day weekend. This Memorial Day is to honor our military who have fallen during service. Themselves and their families have given the ultimate sacrifice and one day of honor and respect is the least America can do. If you haven’t been to Minnesota, look into a vacation here to check out the most beautiful state in the country. MN Home Rental can assist you in renting or buying a home once you have visited because we know once you come, you will not want to leave! Call today 612-293-5154.